**New Patient Consultation: you will be given a form to fill in with medical details, your skin examined and a treatment plan/price estimated. Most subsequent treatment sessions are 15 to 30 minutes duration. Janet discovered the simplicity and effectiveness of Advanced Electrolysis for cosmetic treatments when attending a talk at the exclusive Skin Health Clinic, Andresa Aesthetics, near Reading where she was living in 2012. She had been practicing Acupuncture for several years, and completed her Advanced Electrolysis training with Sterex, the leaders in this field in 2013. 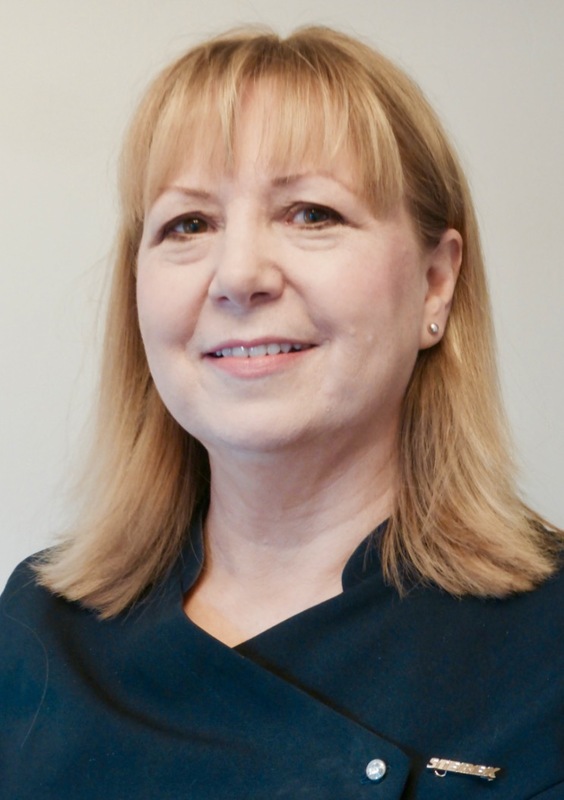 Electrolysis has become her main focus over the last four years and makes full use of all her medical knowledge and clinical skills. She has recently transferred her successful practice from Berkshire to The Chew Valley, Somerset. Janet is also a qualified Beautician enthusiastic about natural holistic approaches to Skin Care. Electrolysis has been recognised and valued for many years for its permanent hair removal benefits. 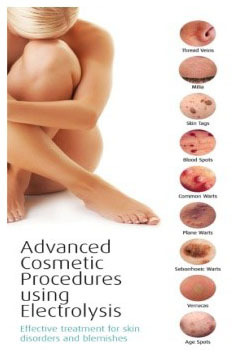 It also delivers safe, precise and effective treatment for over twenty skin blemishes. These include Milia, Skin Tags, Facial Thread Veins, Blood Spots, Common Warts, Senile Warts, Verrucas, Age Spots (more information about specific skin blemishes suitable for treatment can be found here). Advanced Cosmetic Procedure Electrolysis (ACP) offers you care and support in a practical sense by identifying any skin concerns which may be affecting your confidence or wellbeing. You will be advised on the type of electrolysis most suitable for you, as well as aftercare advice using Sterex products to optimise healing and results. A tiny probe (about the size of an eyelash) delivers a burst of high frequency energy into or onto the blemish. Generally this cauterises or coagulates it in a quick and very precise way. HOW LONG DOES IT TAKE AND HOW MANY TREATMENTS WILL I NEED? For minor blemishes such as blood spots, small skin tags or milia, one treatment is usually sufficient. Other blemishes such as senile warts, verrucas, require more than one treatment. If it is extensive or long established, the best approach is to treat a smaller area and see how it responds after four weeks healing. We can then continue with more treatment. Your specialist will advise and give you a treatment plan at your initial consultation. A slight stinging or short pin-prick sensation is the common experience with electrolysis, but with fast and pleasing results attained, most people are very positive about the experience. All treatments are carried out with a sterile, one- use only disposable probe in a clean clinical environment. Your Electrolysist is registered with BANES Council to carry out Electrolysis and is familiar with all Health and Safety requirements to ensure your safety. You will be provided with aftercare advice and a gel to optimise healing.